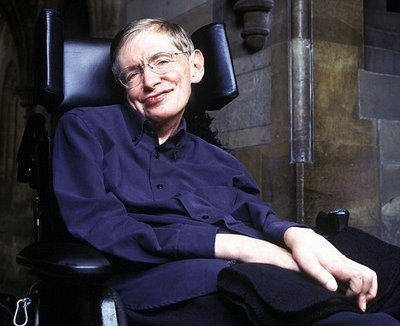 Atheist physicist Stephen Hawking says there’s no hope for mankind here on Earth. We face mass extinction unless we head for the stars, he told the Canadian Press wire service this weekend while promoting his new five-part television series, “Brave New World” on the Discovery cable channel. “Stephen says that there are only so many resources on earth, and with our constant population expansion and environmental changes, space really is the next frontier if we want to live at the same level,” writes Ciara Famble for the website Glittarazzi. Hawking says that between our growing population, use of finite resources and our genetic code we need to colonize outer space and soon, reports Susan Wilson for the website Tech.Blorge. Then there are such problems as solar radiation — which once a spacecraft moves beyond Earth’s magnetic field will likely prove fatal to astronauts. Weightlessness on an extended trip is also a serious problem — since atrophy of astronauts’ muscles and bones renders them unable to walk even after the short trip to the nearest planet, Mars. Even so, Hawking said he favors manned — or as he termed it in the interview, “personed” — space flight and encourages further study into how to make space colonization possible.